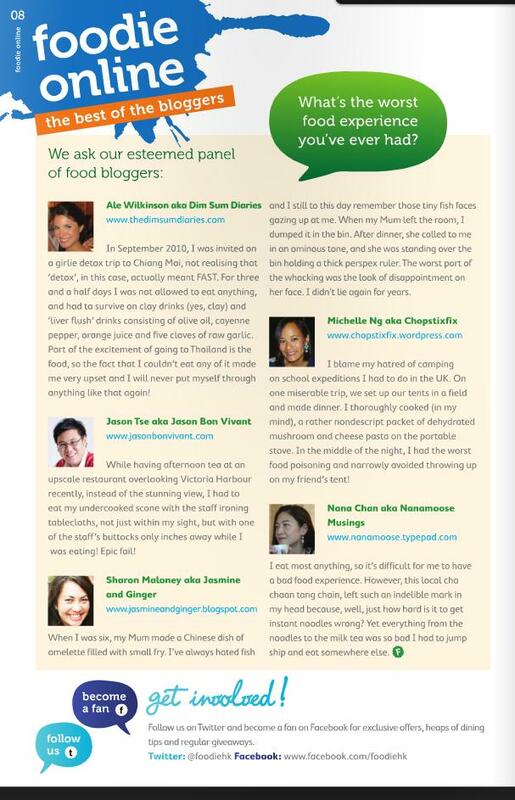 I was extremely chuffed when I was asked by Foodie Magazine at the start of the year to join a regular panel of fab food bloggers: Ale (Dim Sum Diaries), Jason (Jason Bon Vivant), Sharon Maloney (Jasmine and Ginger) and Nana Chan (Nanamoose Musings). Every month we’re asked a foodie question which we try to answer to the best of our abilities! 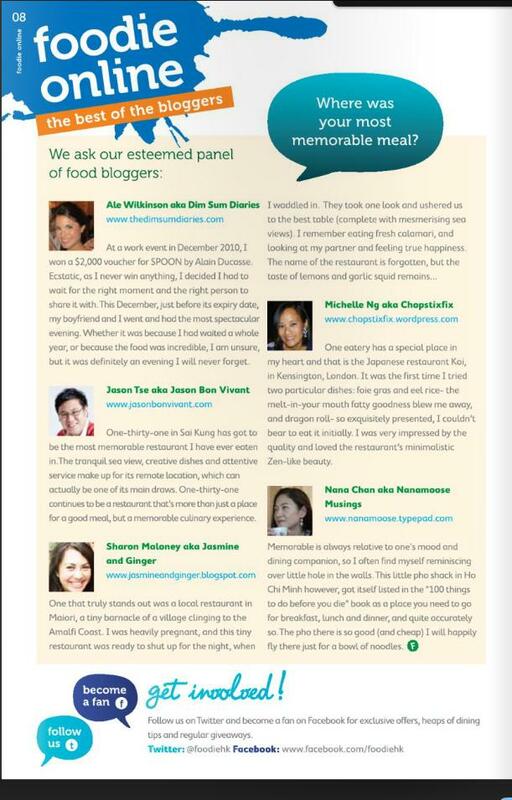 Thanks Foodie Mag for letting me be a part of this, it’s loads of fun! 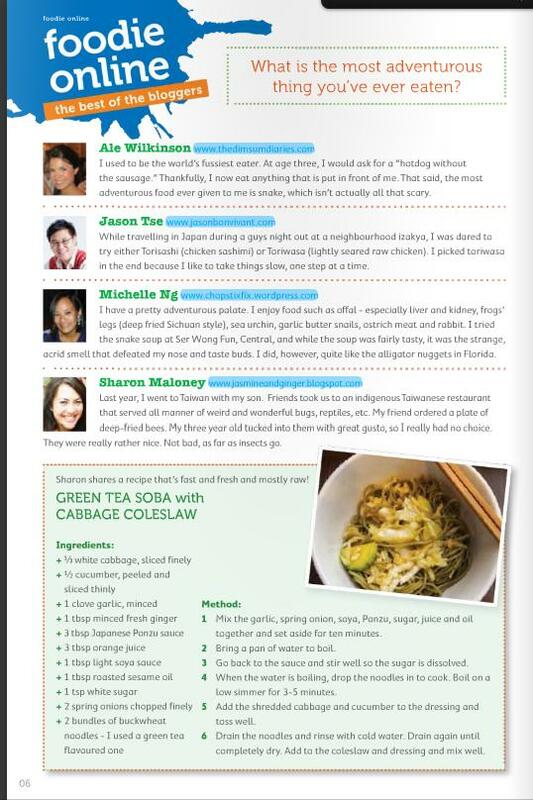 Categories: Extra Extra | Tags: Foodie Magazine | Permalink.